We resisted temptation and looked away so we still don’t know the gender, and we are looking forward to being surprised. I did get a sudden gut feeling during the ultrasound that the baby is a boy, but I guess gut feelings aren’t very scientific so we will just have to wait and see! Of course we will be happy no matter what. We are just thankful for this little miracle. This pregnancy did not start off easy to say the least. I was extremely sick and could hardly function or get out of bed, and I had all sorts of feelings of guilt. Guilt for feeling like I couldn’t properly care for my two boys or give them the attention they deserve (not that they seemed to care much, they enjoyed the extra video game time), and guilt for not being able to enjoy this pregnancy that I had so desperately wanted for so long. Guilt for feeling like I was complaining about feeling awful when I fought so hard to get here and ultimately I wouldn’t have had it any other way. I was thankful for the sickness — thankful for what it represented and the reassurance it gave me that my body was working hard to grow a tiny human. But there were days when I thought the sickness might never go away, especially when it didn’t magically disappear at that 12-13 week mark, and I dreaded enduring 9 whole months of it. I would gladly do it if I had to, but it took a lot out of me. Finally after about 15 weeks I started to feel human again, a major wave of relief took over, and now I am feeling great for the time being. It’s interesting, after going through everything we went through, I always assumed that if and when we got pregnant “for real” again, I would be an emotional mess of pure gratefulness — a puddle of happy tears on the floor. I was happy and grateful, but there were no tears. Only shock. I think we were both too scared to ever get excited, so we remained cautiously optimistic instead, always a little scared early on that this one might end in a loss too. There was no jumping for joy, no huge celebratory moment. Just me, staring at a pregnancy test in shock, showing it to Chris, and both of us saying, “Ok, well here we go…” We chose not to tell anyone (other than my sister and a close friend) until after we had our first ultrasound. We didn’t even tell our parents. I wanted to be excited when we told them, not fearful and apprehensive. Plus, I don’t think either of us had fully accepted that it was “real” until the tiny beating heart appeared on the ultrasound screen. That was a milestone we hadn’t reached with our last two pregnancies, and it definitely made this one seem more real. We were still afraid, but that eased our fears significantly. Now that I have the basketball belly and we’ve seen our sweet little one grabbing his/her feet and I’ve felt the tiny kicks and punches and tumbling around, we are excited, and this has become real. We know that nothing is a “given,” and we certainly don’t take this pregnancy or baby for granted, so continued prayers are always appreciated. This pregnancy definitely feels different than my first two with the boys — back then I had the privilege of blissful ignorance about the reality and statistics of miscarriage, and the ability to be a little more happy-go-lucky about it, not that I took those pregnancies for granted either. It was just … different. We realize that this is beyond our control — it always was. I’m not sure if the fear will ever fully go away but at least it has faded significantly with time. We have faith in God and acknowledge that, He’s got this. There’s no point in being overly stressed over something you just can’t control, so we are trying to keep that in mind. The boys are looking forward to meeting their little sibling, and they say they’ll be happy with a brother or a sister — they have no preference. It makes me happy to hear that they trust God to choose the right baby for our family too, regardless of gender. Thank you so much to all of you who have kept us in your thoughts and prayers and voiced your support throughout our journey. It means the world to us! Of course I will keep you updated periodically. Project nursery begins soon so I can’t wait to show you the room as we go along. So adorable! Congrats again, Erin! I can’t wait to see the little baby! Thank you, Liz! I have been keeping up with your journey too and I can’t wait to read an update on your diagnosis. Praying for your baby soon! Hope all is well. I have a twenty year old daughter that is experiencing and expecting her first child at 22 weeks also.She hasn’t been a happy person since hearing the official news.I am ecstatic because the child is to be our 10th grandchild.I pray everyday that she will get an aha!! moment. Yesterday was her birthday and she actually told me she’s in LOVE with the baby now!! I love her unconditionally and am trying to support her in everything she does.Her BOYfriend is not happy to become a parent therefore she is not sure she wants to adopt out the child .The thing is I’ve tried everything in my power to get her to see an OB doctor and she refuses.She cant or wont see her child as a blessing from God.Im so happy for you and your family!! I’m so sorry to hear that your daughter is facing such a difficult decision. Whether she decides to raise the child or give him/her up for adoption, it will certainly be a life-altering decision either way. I pray that she has the clarity and strength to make the right decision for herself and her child, regardless of her boyfriend. I also pray that she will change her tune on seeing an OB and seeking prenatal care for herself and her baby. Good luck to you and to her. I’ll keep her in my thoughts and prayers! This is such a lovely post. You really are an inspiration to me. I just was talking to my friend today about how I really want to have another little one, yet I am so scared that it will end in miscarriage again. It is so tough to get over that hill. I am so happy for you and your family. God is good and He always fulfills His promises. I am so happy that you have the courage and strength to tell your story because it really is an inspiration to all the mothers that have loss their little ones, including myself. Thanks again for sharing and looking forward to seeing photos of project nursery. Thank you so much, Laurie! I really appreciate that. I’m happy that my story is helpful to others going through this. I pray you will have another baby very soon! I completely understand your fears. I felt the same way for a long time. The idea of going through it again was terrifying, but I knew the possibility of having another baby was worth the risk of getting our hearts broken again. Good luck to you! I’ve been keeping you in my prayers! 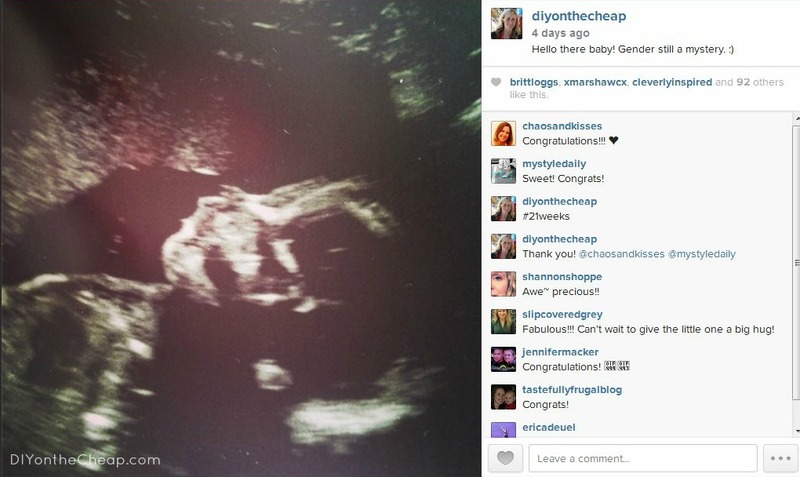 So happy for you and yours, Erin… praying for a safe and uneventful rest of your pregnancy! just another “3” miscarriages between babies mom….it’s hard but if I had had my second (and last) daughter any earlier, life would have been crazy. 🙂 oddly, with the gift of hindsight, she was meant to be born when she was. so looking forward to the rest of your story. Thank you! I totally feel the same way. I know that God knows what’s best for us and His timing will end up making the most sense for our family. It will be helpful having our boys be a little older and able to help out. 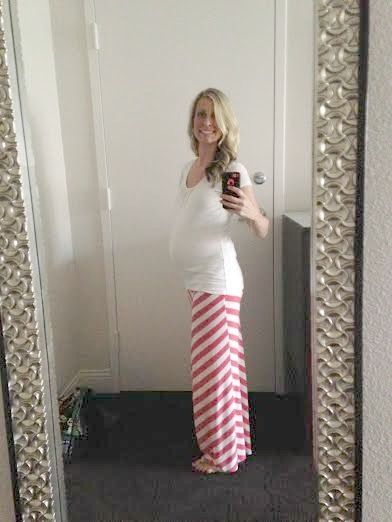 erin- so happy to see you and your precious baby bump at haven. Best wishes to you. Erin, I’m so happy for you! You are the sweetest and most thoughtful person! You look fabulous and I thrilled to hear you are feeling fabulous too! Congrats! Thanks for sharing such a personal post. You are such an inspiration to others! Thank you so much for your sweet words, Betsy! Hope to see you soon!